For the highest quality carpet cleaning Smarden, look no further than AAAClean – an established professional company that is No.1 in Kent and East Sussex for domestic and commercial carpet, rug, upholstery and curtain cleaning. Our cleaning operatives use the very best equipment and cleaning products to produce the best possible results – every time. Look at our customer feedback and you will see that we are a business to trust. Our Smarden carpet cleaners use hot water extraction (HWE) machines and high quality cleaning solutions for effective, efficient carpet cleaning. HWE machines have been proven as the best way to clean carpets because they give the best cleaning results and drying times. Other methods such as bonnet cleaning and foam encapsulation do not come close. Our machines also have built in heaters, so do not worry if your property only has a cold water supply. 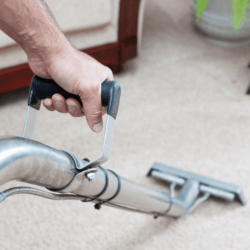 When you book an appointment, we will despatch a skilled Smarden carpet cleaner to your property and they will follow a tried and tested cleaning routine to make sure your carpets look as good as they possibly can. Furniture will be moved and stains and heavily soiled areas will be pre-treated with the relevant cleaning solutions. When the prep work has been done a HWE machine will be used until your carpets are spotlessly clean from top to bottom. For domestic and commercial carpet cleaning Smarden, contact AAAClean today on 0800 023 5205 for more information and to book an appointment. We are experts in all aspects of carpet, rug, upholstery and curtain cleaning in Kent and East Sussex and the right choice for anyone who wants fantastic cleaning results. If you only require domestic cleaning services, you can book online, select what you want and pay now or later.